We take it for granted, the ability to read and write. In fact, most of us take education for granted. That we and our kids would go to school, learn to read and write; most likely go to university and beyond is something we actively plan for, not (just) because we are so confident in their (and our) ability, but because its a given. That our kids would read- enjoy books, magazines, read school notes… and write- letters, emails, assignments… hey, even, text messages; are something we take for granted. Over my many trips to Myanmar, it has always been very evident to me that there are kids that cannot read and write. Some probably never will. And no matter how much we support literacy programs there, there will be many that fall through the cracks. Around the world some 775 million adults lack minimum literacy skills; one in five adults is still not literate and two-thirds of them are women; 60.7 million children are out-of-school and many more attend irregularly or drop out. To commemorate International Literacy Day, we took Q to the bookstore to use some of the book vouchers we’ve been saving for one of our “book drought” days. We have several favorite authors we “collect”. One of our favourite-est is Sandra Boynton who wrote the famous Pookie series. Q’s favorite is Fifteen Animals and he recites it like a little comedy act. We also love collaborations between Julia Donaldson and Axel Scheffler the team behind the famous Gruffalo books. They also wrote Stickman and Room on a Broom. His all time favorite is Monkey Puzzle which he reads and re-reads and re-reads. 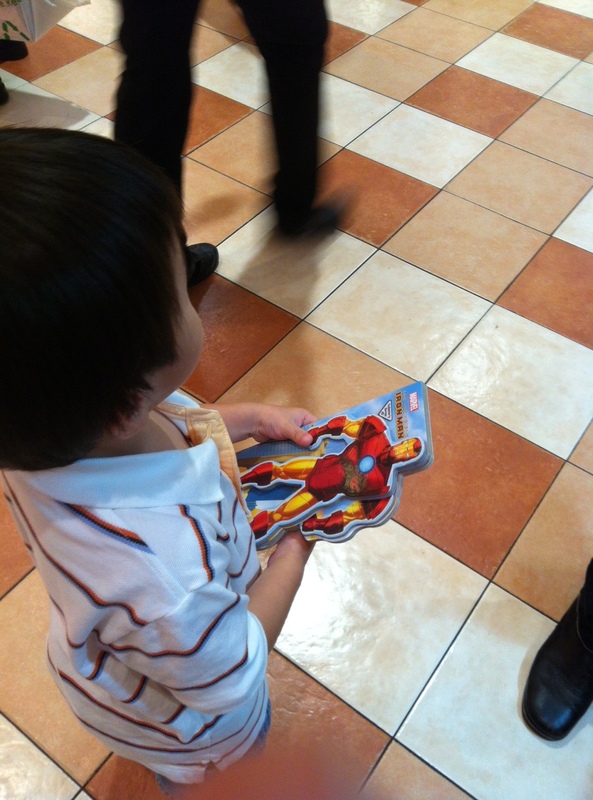 Q, who’s is way into Ironman and the Avengers, picked out a new Ironman book, complete with moveable arms at the bookstore and has been lugging the said book everywhere! Because our nights are usually kinda haphazard, we moved reading time to first thing in the morning. And its been great. Before the day descends upon us, we spend time reading. Evan joins us with his picture and touch-and-feel books too! 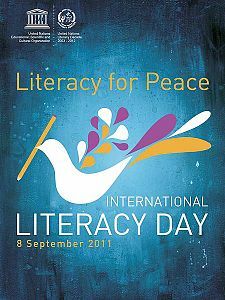 So, on International Literacy Day, we remember those that may have never even seen a book or have books readily available to them. We have several friends working on community library projects and over the next few months, maybe I’d run a drive to collect books from all of you guys! Our firstborn is off to school!